In brief: Aussie powerhouse Michael Booth has flexed his muscles to win the annual race around the Golden Gate Bridge in San Francisco today. 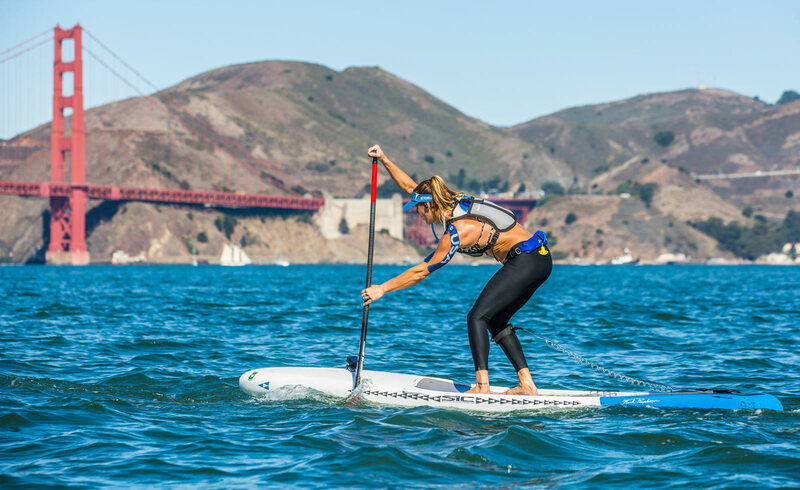 The current world number one paddled clear of the small but highly elite field to claim the win the 2018 Battle of the Bay a minute ahead of his highly under-rated compatriot Ty Judson (Team NSP). The women’s contest was a lot closer, with Seychelle being pushed all the way to the line by young SIC team mate Jade Howson, while Fiona Wylde rounded out the podium in this 4-star Paddle League regional event. More to come on Monday morning… For now you can get full results over on The Paddle League.